Photo courtesy of Bryan Ward, licensed under the Creative Commons Attribution- Share Alike 4.0 International. 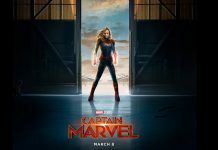 Marvel released the first film to feature a predominantly black cast to massive critic and audience acclaim on Feb. 16. “Black Panther” was hyped as one of the best new movies of the year that would break records and connect with audiences new and old. It scored a 97 percent on Rotten Tomatoes just in its opening weekend. “Black Panther” ranked the third highest-grossing movie ever with $218 million falling only closely behind the two most recent Star Wars movies. Chadwick Boseman plays the main hero, T’challa, who does a fantastic job as the newly-appointed King and Black Panther. The antagonist changes halfway through the movie from Klaue to Killmonger, which catches the audience off-guard. Klaue’s intentions are to selfishly sell vibranium, the powerful metal only found in Wakanda, for diamonds, but Killmonger has always wanted to become King of Wakanda and start a global war for the uprise of oppressed blacks. Andy Serkis fits perfectly in the role of Klaue as he acts crazy and sporadic just as the character’s plans imply. Michael B. Jordan gives a chilling performance in the role of the film’s main antagonist, Erik Killmonger, seamlessly playing an increasingly twisted villain throughout the entire movie. The female characters of the film are strong warriors that will do anything it takes to protect Wakanda. Letitia Wright gives Shuri, Wakanda teenage technological genius, a fun and playful vibe that came from the perfectly-timed execution of the character’s sarcastic comments. Angela Basset returns as an unshakable motherly figure that loves her family as much as her country. Danai Gurira redefined loyalty and what it means to be a general as Okoye. Lupita Nyong’o’s portrayal of Nakia, a Wakandan agent and T’Challa’s ex-girlfriend, demonstrated how a warrior can be sensitive as well as strong and independent. Marvel’s decision to make this movie was crucial; “Black Panther” is the first superhero movie to have an African-American protagonist from Marvel, as well as a black cast; even the director of “Black Panther,” Ryan Coogler, is African-American. Historically, most Hollywood movies did not contain black protagonists as it was believed they would be less of an audience and therefore less of a profit. Because of its success, “Black Panther” will improve the movie industry. “Black Panther” allows black audience members to relate to a hero that looks like them. A new generation of children will see “Black Panther” and know that they, too, can be a hero like T’Challa, Okoye, Nakia, or Shuri. The dynamic setting moves internationally, touching three of the world’s continents. Action takes place in California, New York, South Korea, and Wakanda—the main setting in Africa. Each place universalizes the story and demonstrates the impact of the historical themes of the film. Some movies try too hard to be original and fail harshly, but this film stays with a more simple but effective method of switching things up just enough. “Black Panther” kept the audience engaged with ease. The characters are always being rooted for, even Klaue because of his crazy personality. There was never a time where the plot was boring or dragged; it was engaging and interesting the whole way. It is longer than the average time of a movie, two hours and 15 minutes, but it uses the time allotted very well. It is a great movie because of its killer graphics and sound editing. 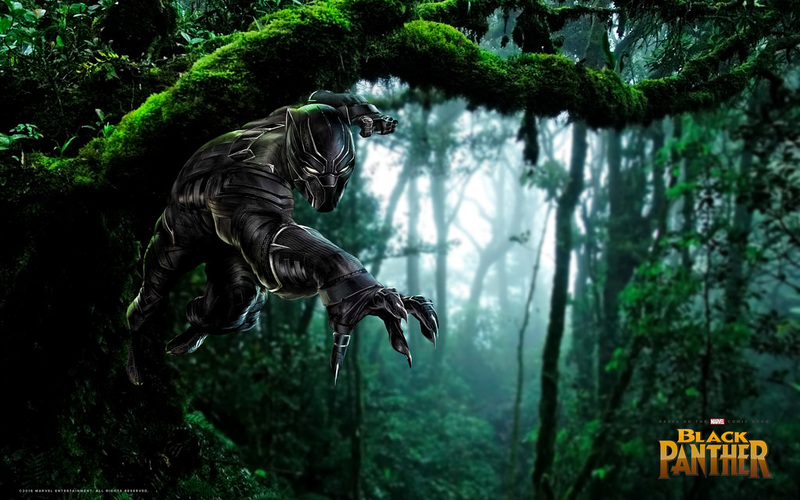 “Black Panther” is one of Marvel Studios’ best films, and it’s exciting to see how it will connect to future Marvel Studios films, especially in the much-anticipated “Infinity War” coming out this April.